WASHINGTON -- Stubbornly close and deeply divisive, the presidential race throttles into its last 100 days as an enormous clash over economic vision, with the outcome likely to come down to fall debates, final unemployment numbers and fierce efforts to mobilize voters. It may seem like an election for the whole nation, but only about eight states will decide who wins the White House. WASHINGTON — Stubbornly close and deeply divisive, the presidential race throttles into its last 100 days as an enormous clash over economic vision, with the outcome likely to come down to fall debates, final unemployment numbers and fierce efforts to mobilize voters. It may seem like an election for the whole nation, but only about eight states will decide who wins the White House. What voters probably will see will look a lot like what’s played out so far — a bitter, bruising, personal contest over who can be trusted to fix the economy. Obama, for example, used his weekend radio and Internet address to blame Republicans for a stalemate that could raise taxes on Americans next year, and he took a swipe at Romney without mentioning his challenger by name. The upcoming stretch is loaded with opportunities for the candidates to capture the public’s imagination, land a big blow or flub a chance. Romney is closing in on his vice presidential nominee, both candidates will give highly scrutinized convention speeches, and the two will face off three times in October debates. Then there are the surprises — be they national events or scares from abroad — that can jolt the campaigns and test the candidates. “We’re all looking for that moment,” said David Gergen, a political analyst who has advised Republican and Democratic presidents. He predicted it could come in the first of the debates, in Denver on Oct. 3, when Obama and Romney finally stand on a stage together and go at it over economic policy. Obama’s thesis is that his plan for rebuilding the economic base and for ending tax cuts for the rich will help everyone, and that Romney would be a return to recession-era policies. Romney’s view is Obama came in over his head, squandered his shot and must give way to a leader favoring small government and taxes. Foreign affairs has made a brief run to the front of the campaign, with Romney, who has little experience in that arena, eager to show his standing on his current trip across England, Israel and Poland. Obama has used the power of his office to try to upstage Romney’s travels and remind everyone there is only one president. Money matters deeply, as both sides use advertising to try to undermine the other’s credibility or, in softer ads, tell a story about themselves. 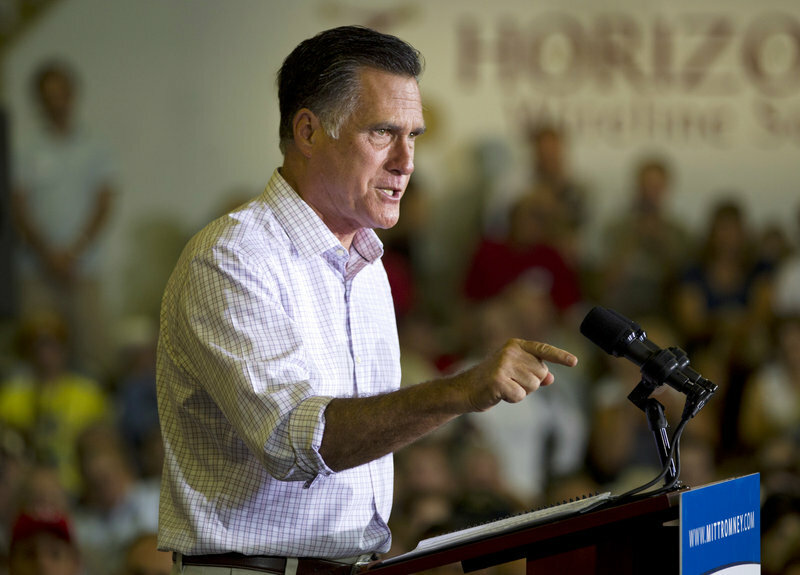 Romney and the Republican Party have begun to outraise Obama and the Democratic Party, and Romney has more help from well-heeled outside groups known as super political action committees. 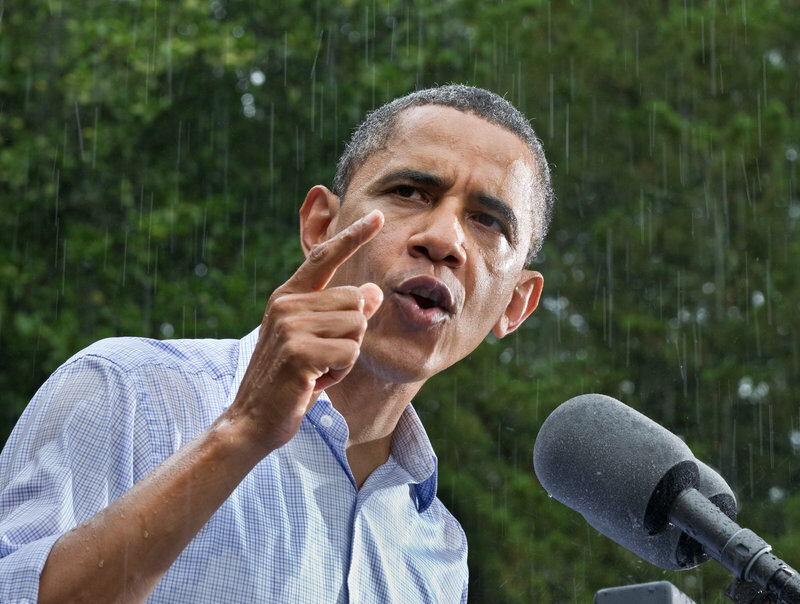 Obama’s team has used the summer to dent Romney’s economic credentials and trustworthiness. The Obama campaign has hammered the Republican over his unwillingness to release years of tax records and over discrepancies over when he left Bain Capital, at one point suggesting he may have committed a felony. Romney’s team found a foothold by seizing on one line from an Obama speech: “If you’ve got a business, you didn’t build that.” Romney has used it to paint Obama as a big-government-loving president who does not respect small businesses, forcing Obama himself to counter that he was wildly taken out of context. Associated Press writer Jim Kuhnhenn and Steve Peoples and AP News Survey Specialist Dennis Junius contributed to this report.